Your tuk tuk driver will try to talk you out of it. He will tell you it’s not safe to eat. 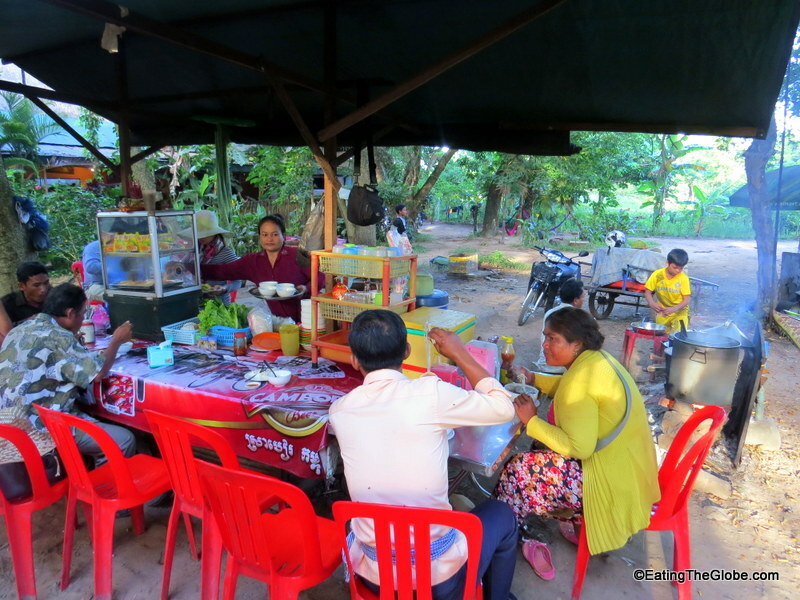 After watching the sunrise at Angkor Wat, he will instead try to steer you to have breakfast at one of the many expensive (for Cambodia) mediocre tourist restaurants that surround the temple. One of the many tourist restaurants that pays him a commission for taking you there. Stand your ground (trust me, it’s worth it) and ask to be taken to the back area directly across the street from the temple. You can’t see it from the road. 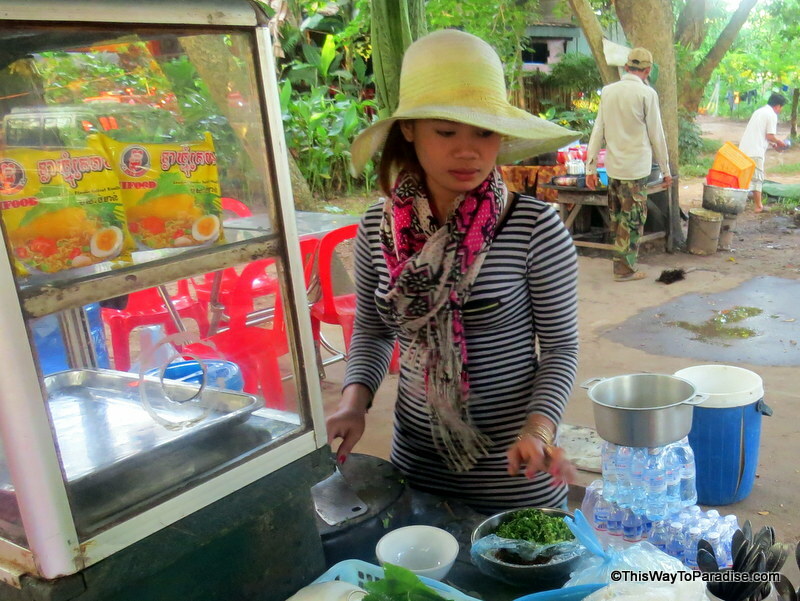 Just ask to be taken to where the tuk tuk drivers eat. Of course, mine tried to convince me that he ate at the restaurant where he tried to take me. Don’t listen. 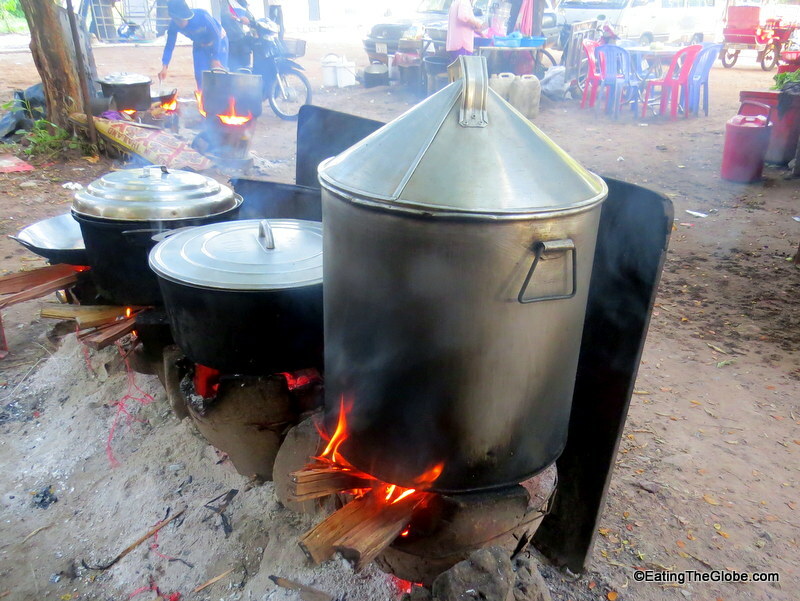 In this back area, you will see a stand where a family will be cooking succulent pork and rice that is so much better than anything the tourist restaurants offer. 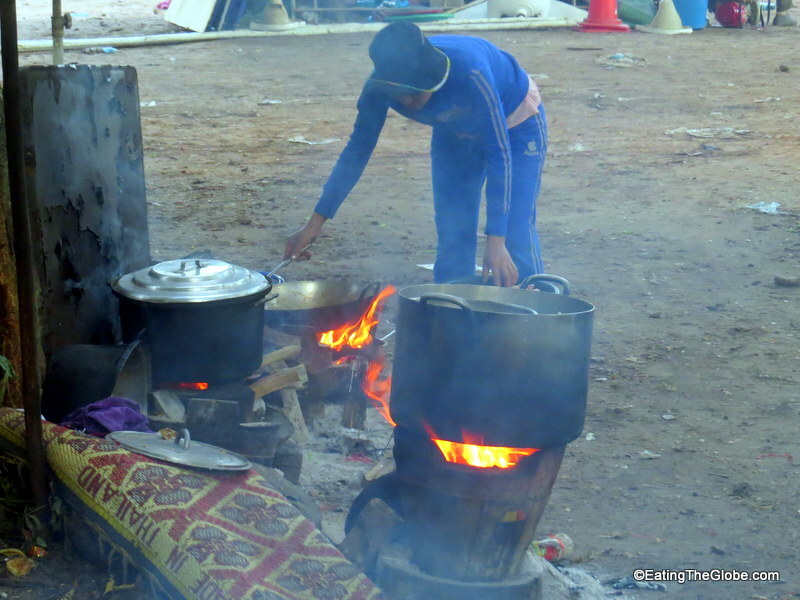 Look for the smoke from the early morning fires where delicious concoctions are being stirred. Enjoy the scenes of local life that you just won’t see at the restaurants. Talk to the other tuk tuk drivers. Most of them speak English and will get a kick out of you being there . 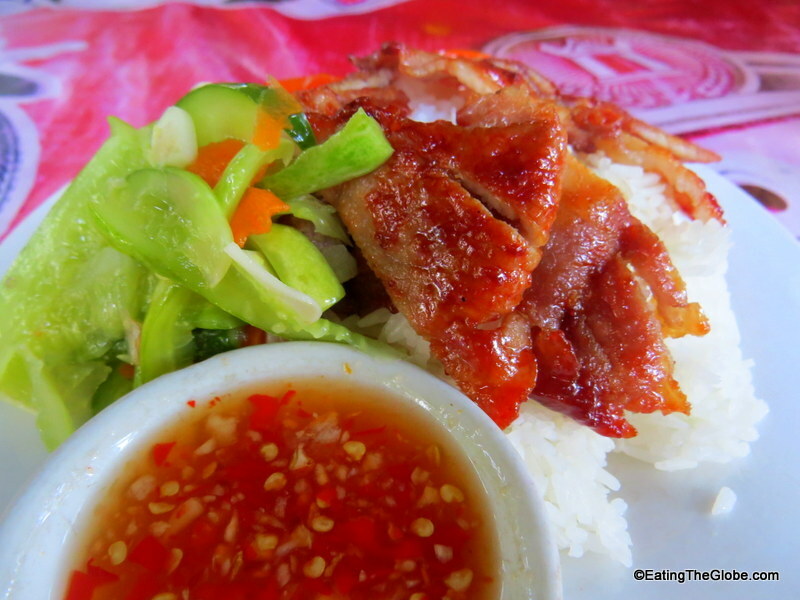 When you get your plate, enjoy this mouth-watering pork and the tart homemade pickles that come with it. As you hand over your dollar, the price of the meal, say “aw-koon ch’ran” (thank you very much) for the delicious meal you just devoured . 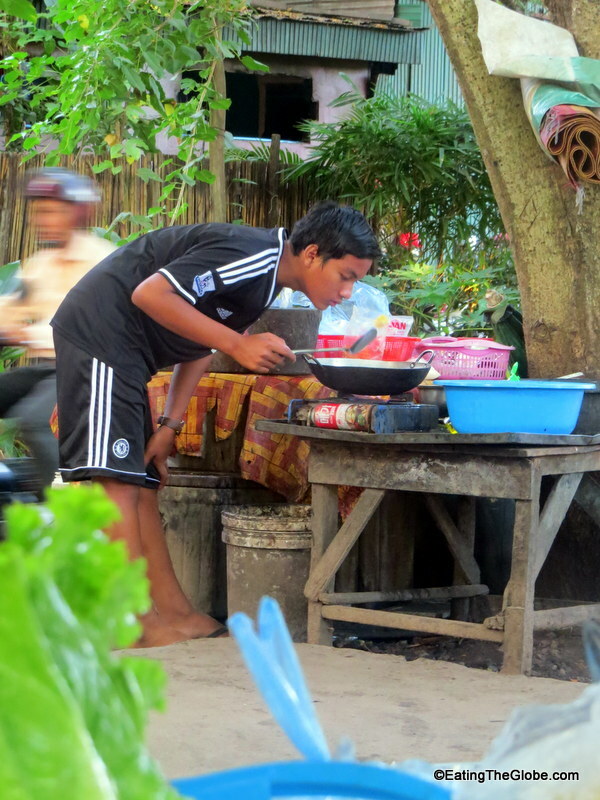 For more about the food in this country, check out this article on Cambodian food. 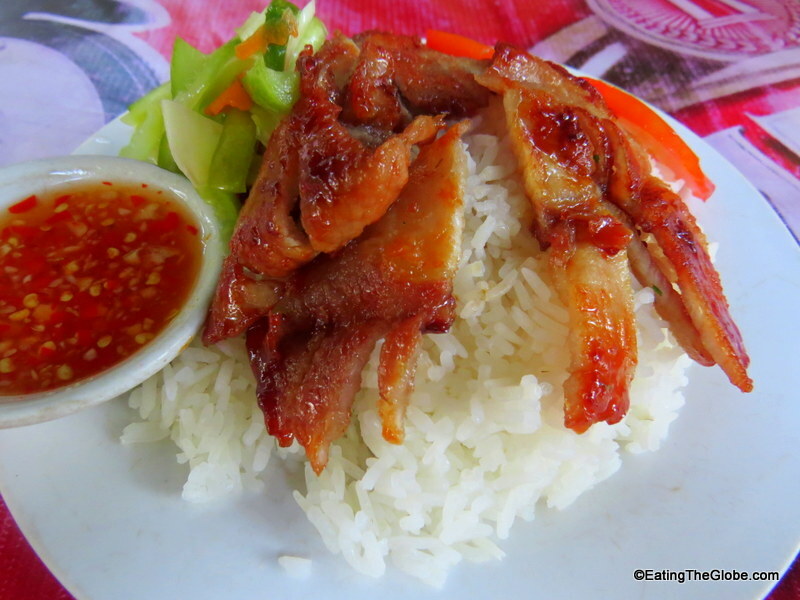 11 Responses to "The Almost Forbidden Meal You Must Eat After Sunrise At Angkor Wat"
Looks delicious! Funny that they try hard to keep it secret, and it’s great you got to try it! Thanks for sharing! Amazing! Headed that way in an months! Will definitely be checking this out! Lovely article and great photos. Why do the drivers try to put you off eating here? Because they don’t get paid a commission to take you here!! This is great! 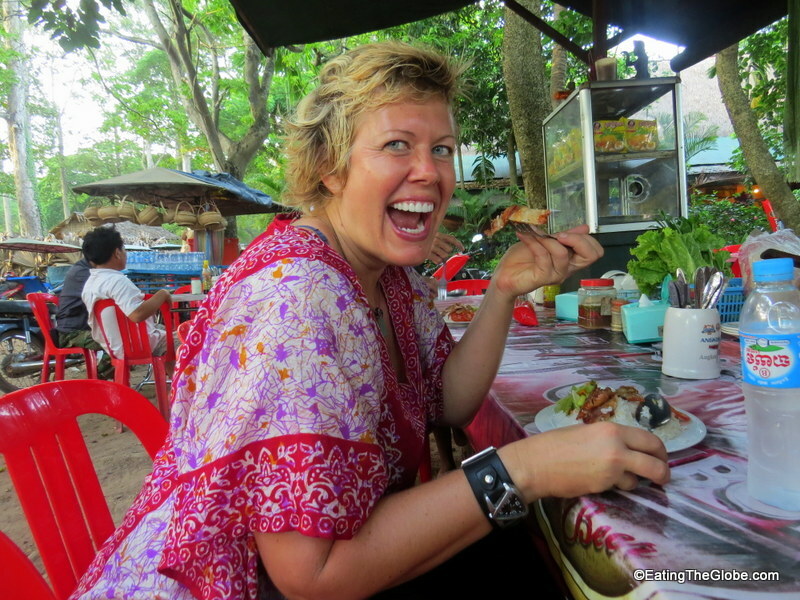 We experienced similar foods in Cambodia and Bali. It is important to stand your ground to find the best places! It really looks worth the trouble. And it sounds very tasty. Great read. Thanks. That pork looks delicious! The locals know the best spots and I can understand why they would want to keep them a secret. I have a restaurant I love to frequent by my house and I never tell anyone about it. It’s so lovely to keep it locals only. It’s around the areas where the drivers park. It’s really the only food place right there. You will see it!